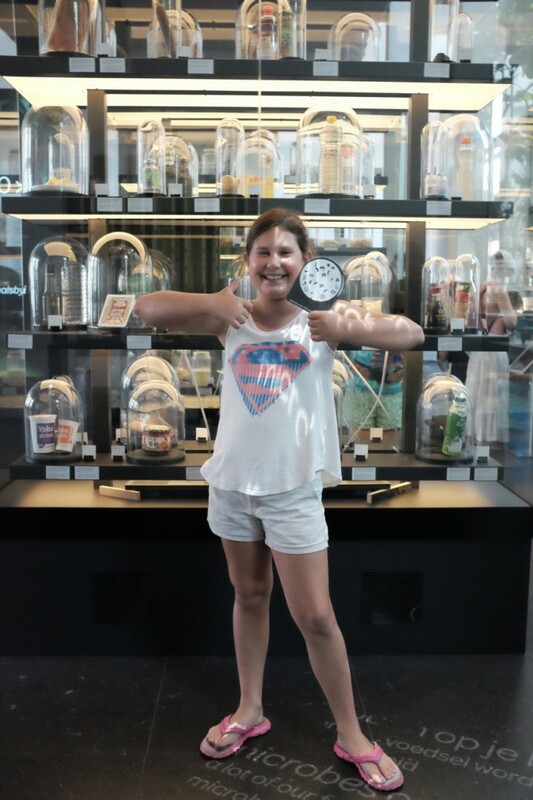 Yesterday we visited the new Micropia museum that is part of the Amsterdam Artis Zoo (Joshua and Dominic, we were thinking of you!). In a word, it was awesome. 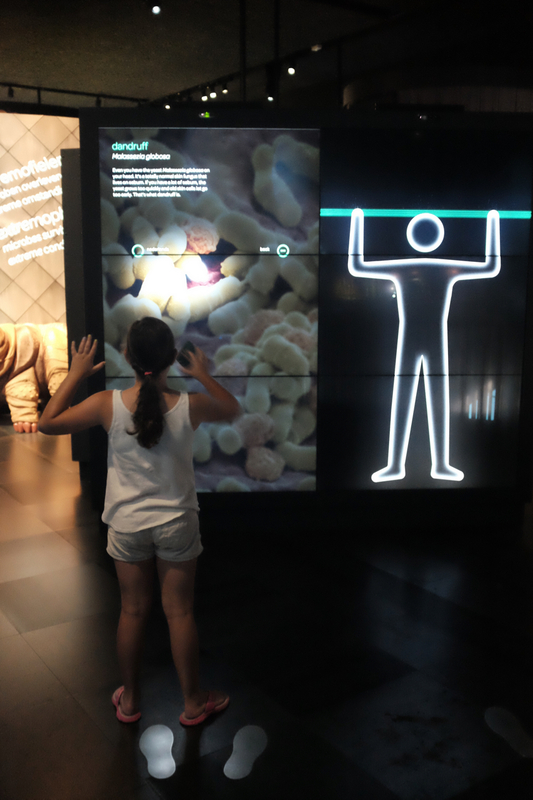 Easily one of the best science exhibits we’ve ever experienced. 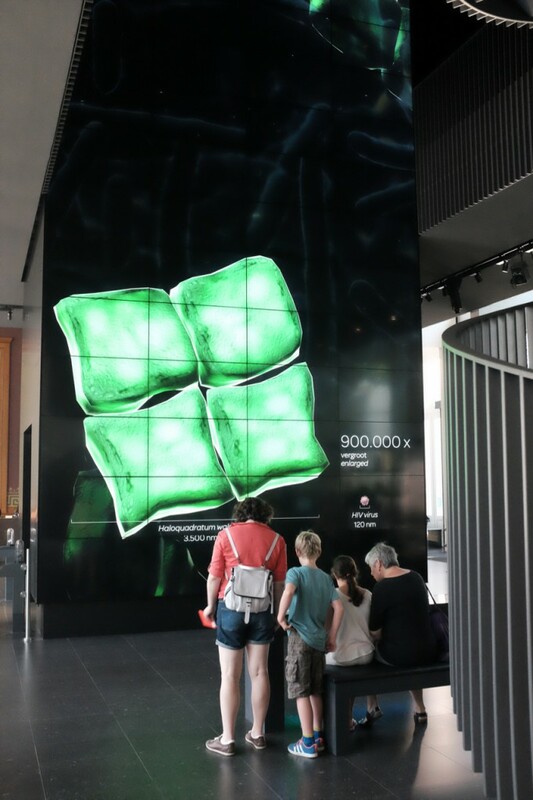 The promo video above is kind of fun, but it doesn’t really give a sense of how great the exhibit actually is. The presentation is fantastic. Nothing is dumbed down, and yet everything is accessible. 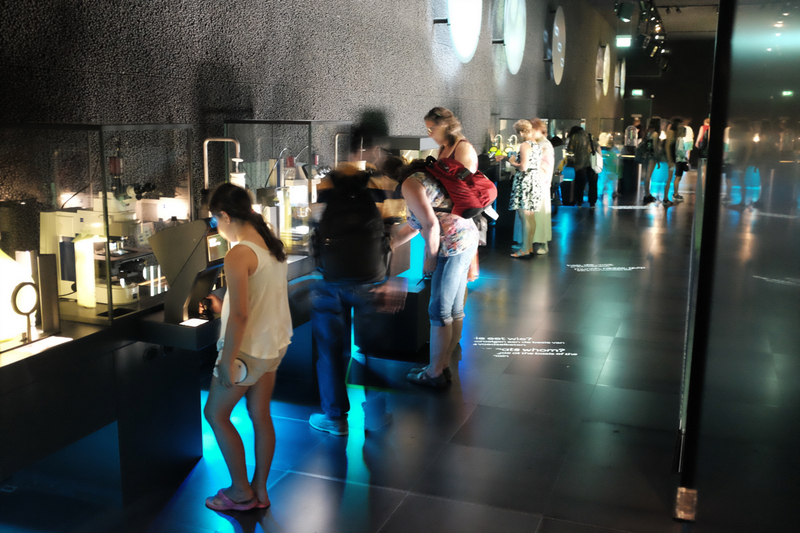 The exhibits are hands-on and truly compelling. There is so much information presented, and somehow they manage to put it all in context on a number of different levels. 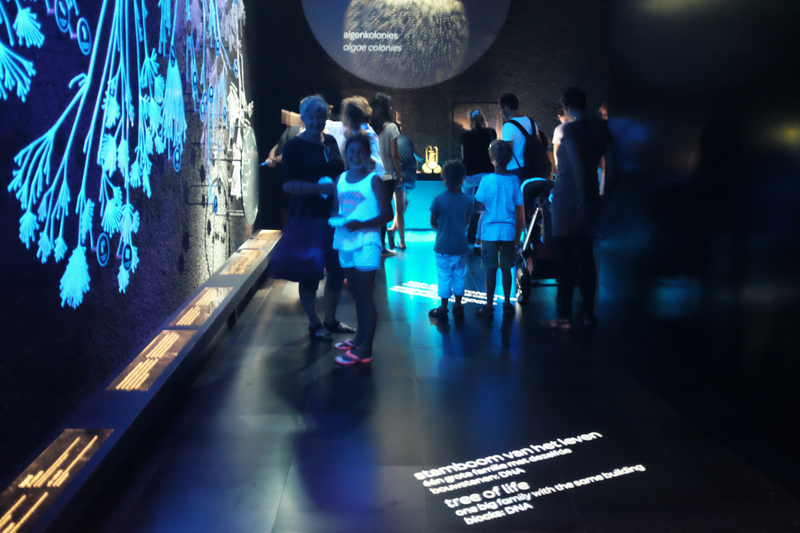 When you enter the exhibit you are greeted by a large “tree of life” graphic which shows the genetic relationship between all of the known forms of life on earth. The Tree of Life at the entrance. Did you know that 2/3 of life is invisible?! That’s right. 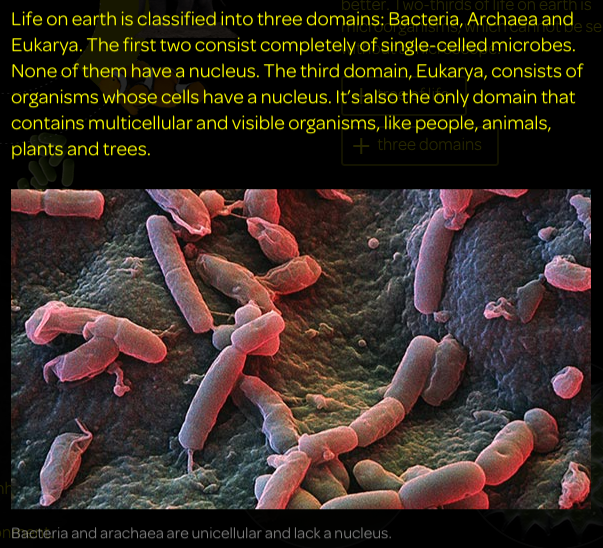 Of all the known living organisms, two-thirds of them are microscopic bacteria or archaea, invisible to the naked eye. We humans are massively out numbered! 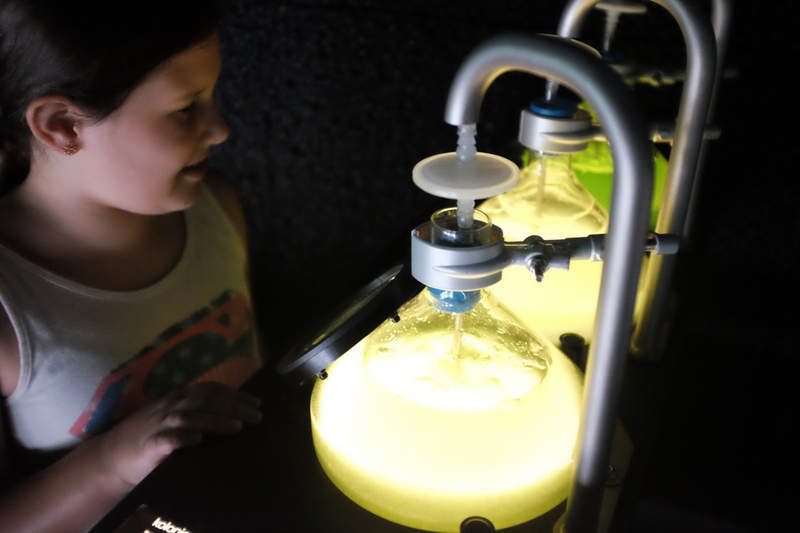 The first of dozens of hands-on exhibits is a station where you operate a microscope to study blue-green algae. 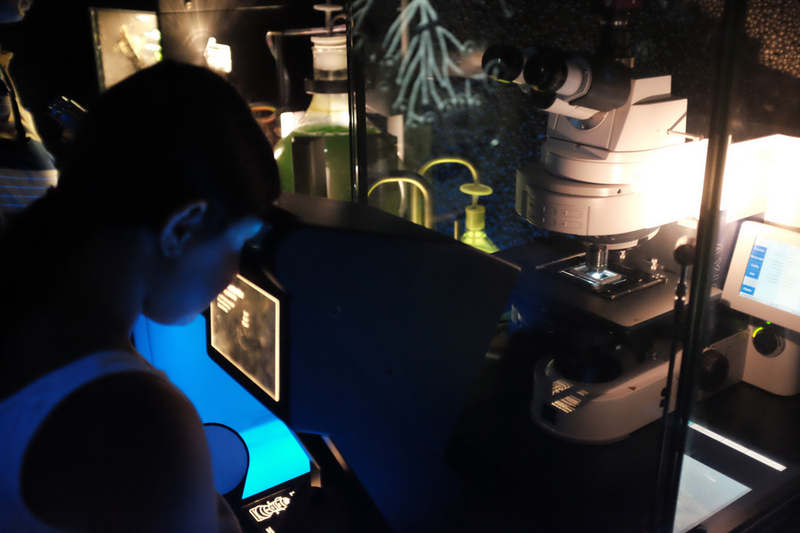 Jette operating the microscope and looking at algae. 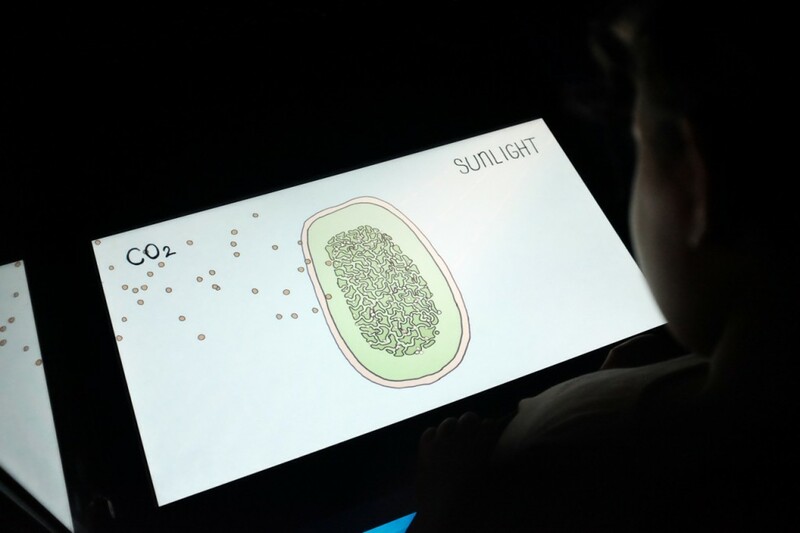 In addition to the binocular viewer that Jette is using in the photo, there is a live video feed on a video touch screen next to the microscope so others can see it too. 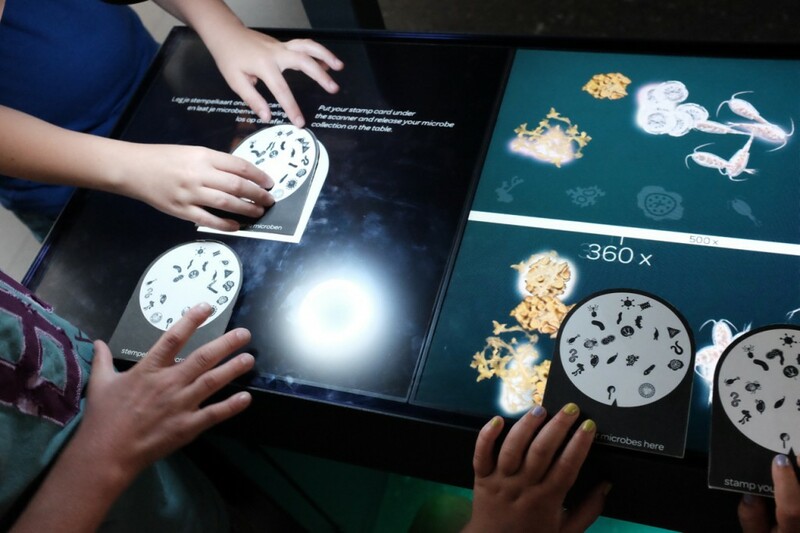 The touch screen also tells an interactive, animated “story” in Dutch and English. 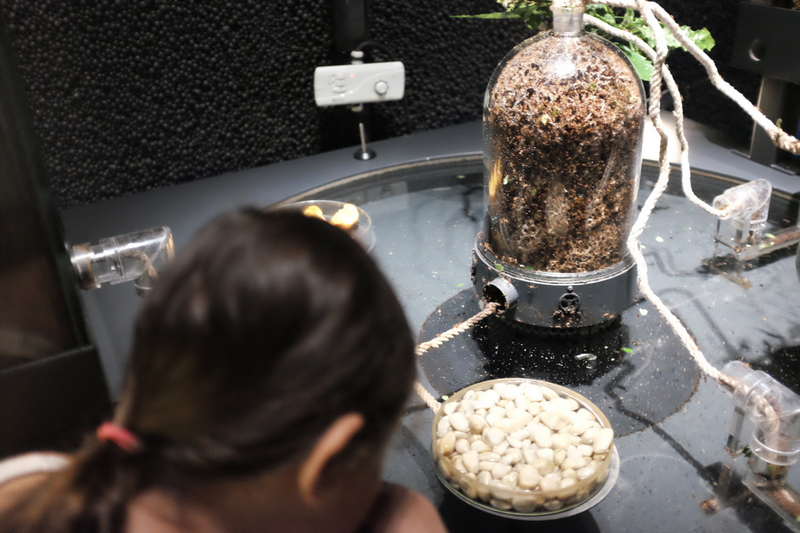 It talks about how the microbe functions, how it interacts with its environment, its place in the food chain, its importance to human life, and how human activity affects the organism, and by extension, other species and the whole ecosystem. It does a beautiful job of putting it all in context and helping us understand how all the pieces of life fit together. Did you know that it was oxygen producing microbes that first put the oxygen that we breathe into Earth’s atmosphere? POP QUIZ - About what percentage of the oxygen that we breathe is produced by microbes in the ocean and what percentage is produced by plants? About half of the oxygen in our atmosphere is produced by microbes in the ocean! The other half is produced by plants. One of the great explanatory animations. My evil concoction is ready. The world is mine. MINE! 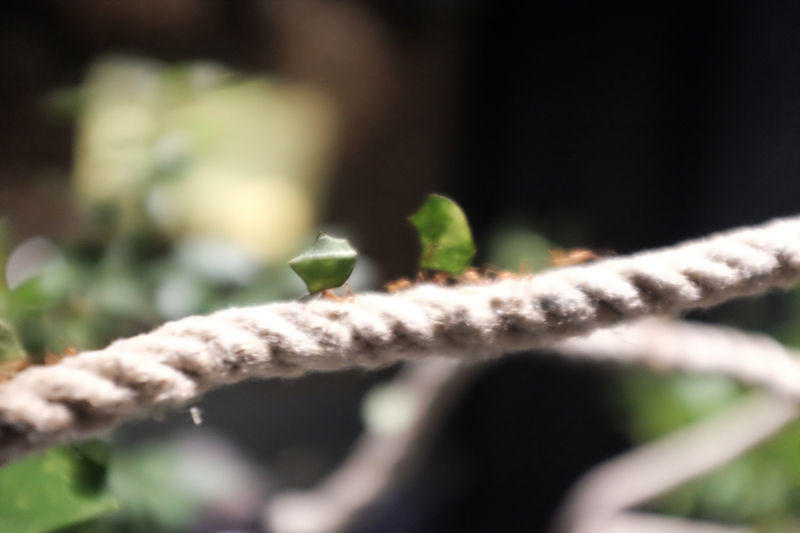 Awesome exhibit of leaf-cutter ants. Note that there are various containers and platforms floating in water, but connected by rope. The ants can cross the ropes but not the water, and so are contained. 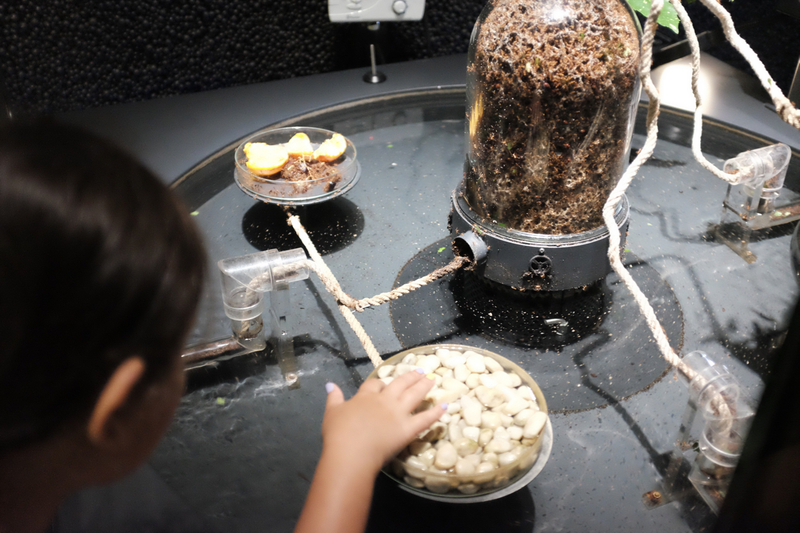 It is not behind glass, you can touch and even pick up the ants if you like. They do bite, at least according to the sign, but the choice is yours. 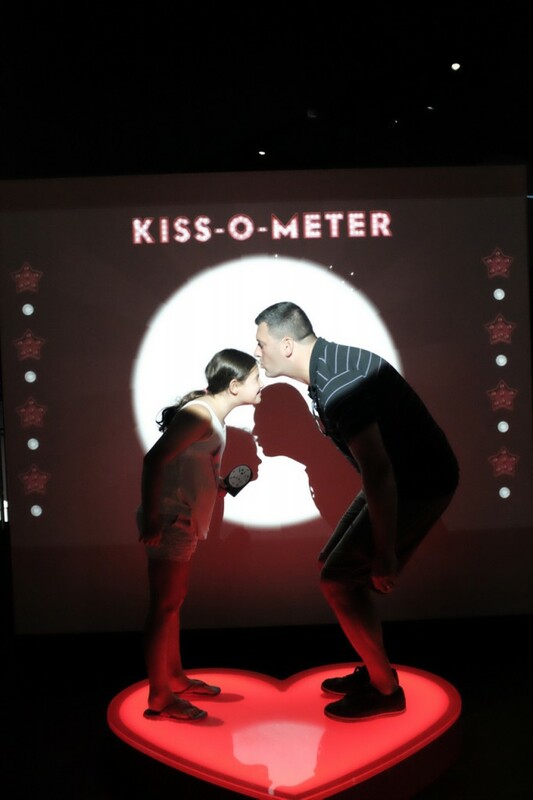 The Kiss-O-Meter rated us “prudish” but still gave us quite a bit of detail on spit-swapping and the various microbial fun that goes along with it. 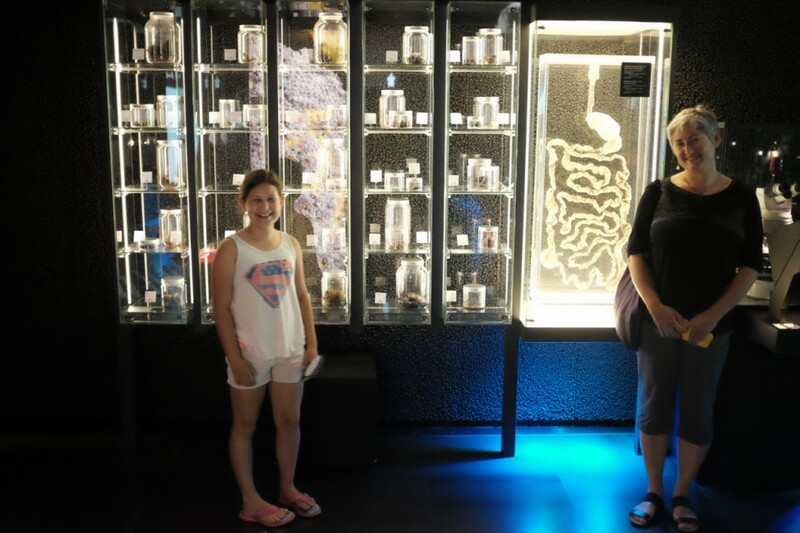 Stool samples from a variety of animals and real human intestines. Looking at microbial growth on fruit jam. Jim and Peggy – does this remind you of breakfast in the Thar Desert?! 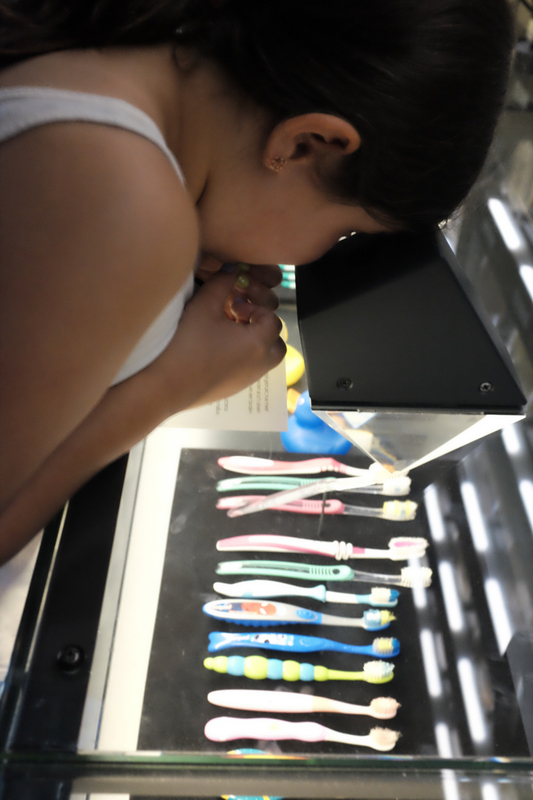 Inspecting bacteria growth on toothbrushes. 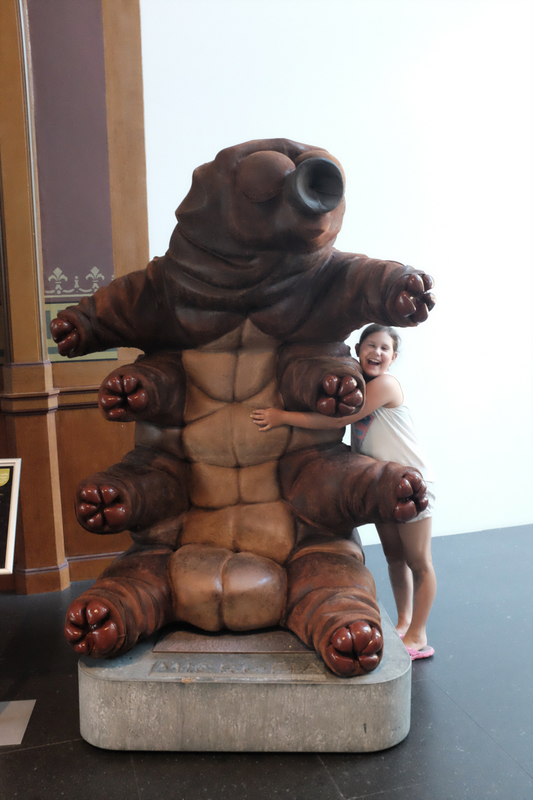 Have you hugged your waterbear today? Today we rode our bikes to the Micropia museum. 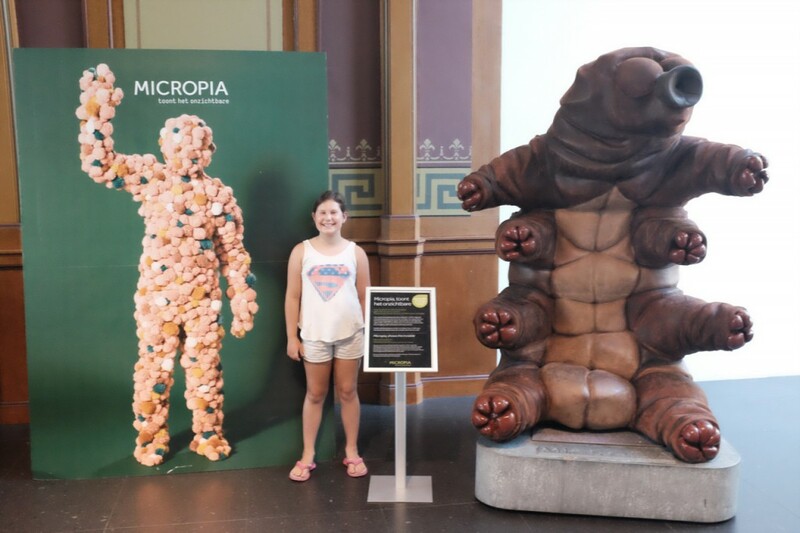 If I was going to show my friends my favorite part of the museum then I would show them the waterbear and the ants. 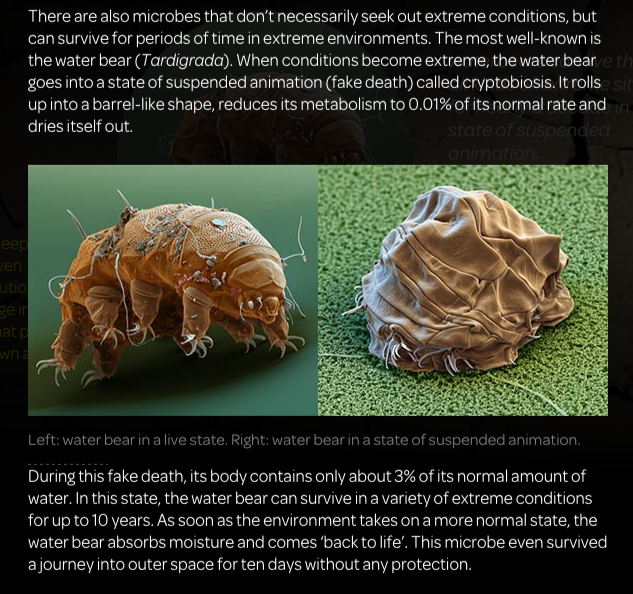 Waterbears can survive in extreme heat and extreme cold as well as in between. They survive by being able to shrivel up in hot or cold but still be alive and when they blow away and get to moisture then they unshrivel. They can live for up to 100 years! Each station or exhibit in the museum has a stamp. 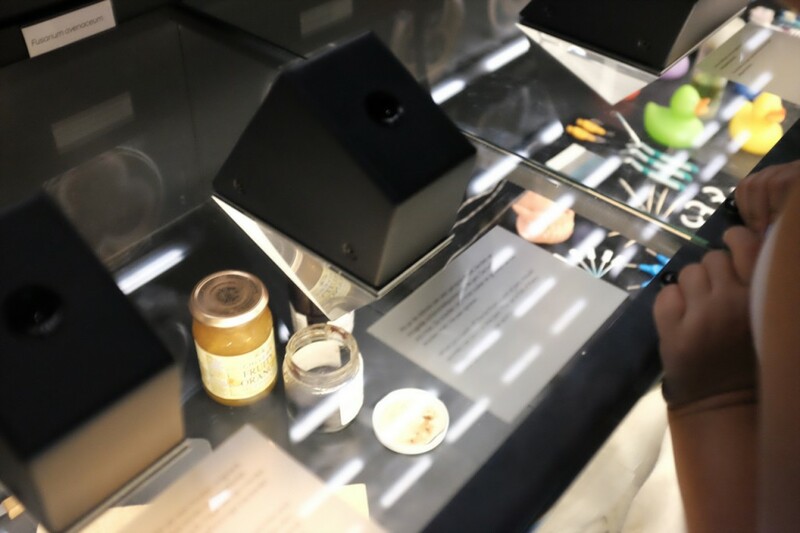 Stamp your card and at the end of the exhibit, you can put your card on a scanner which allows you to review it all on a huge two-story video screen and touch screen table. Review on a two-story monitor. Micropia at Amsterdam Artis Zoo. 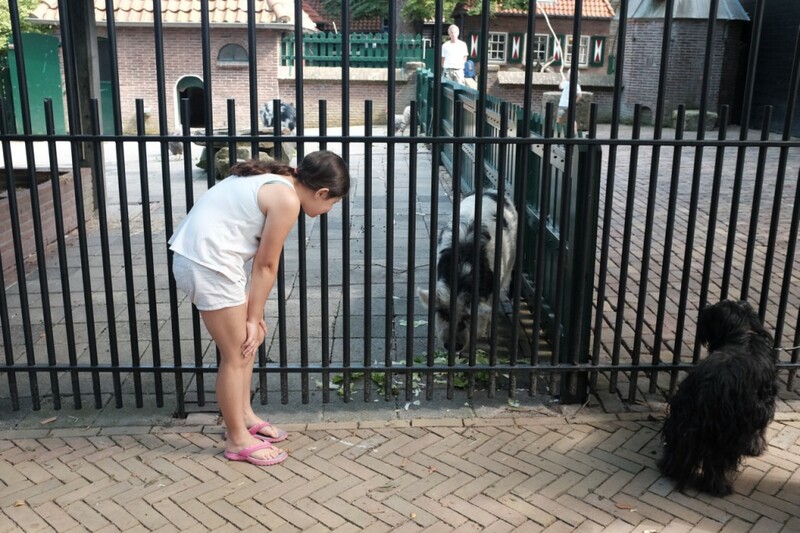 Saying “hallo” to a pig eating salad. See–I knew all along I was doing something healthy!! I’m still sure it was just crystallized sugar on top of the jam! Glad you are all having such a wonderful experience and that Jette is learning SO much. It didn’t kill you, so I’ll go along with the probiotic theory, LOL!